This probably falls in the annals of me missing the obvious, but I’m putting it here for future reference so at least I won’t miss the obvious twice, and also noting this method of rounding the corners. 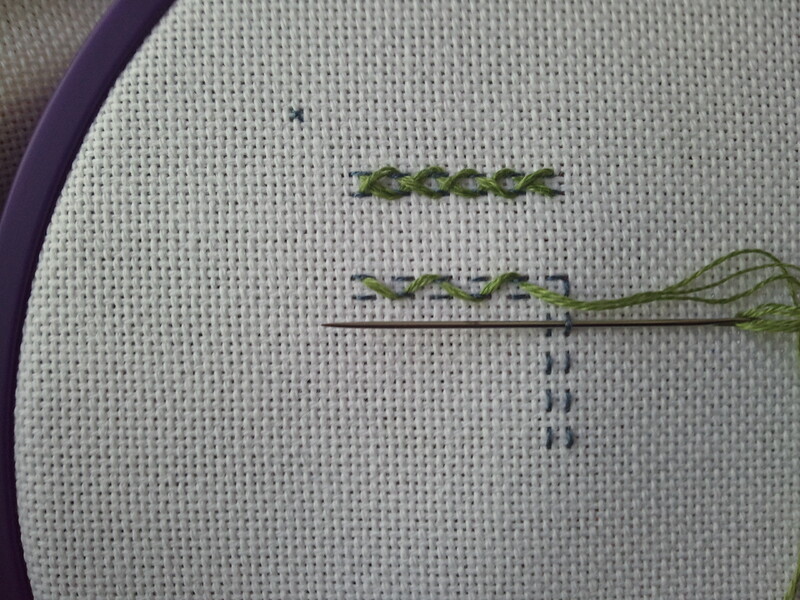 When I started adding the interlaced running stitch border to the carnation needle book, it looked wrong. After some experimentation I got it looking right. 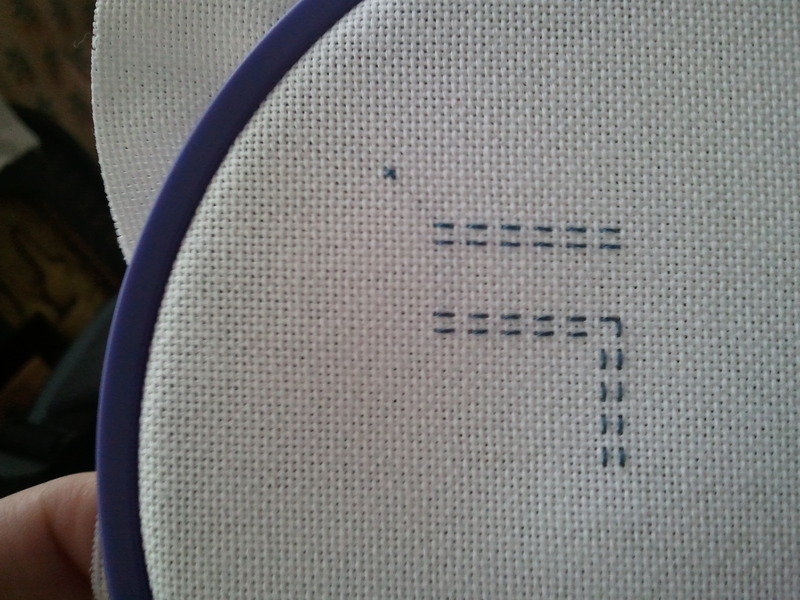 It all came down to which way the needle was pointing. 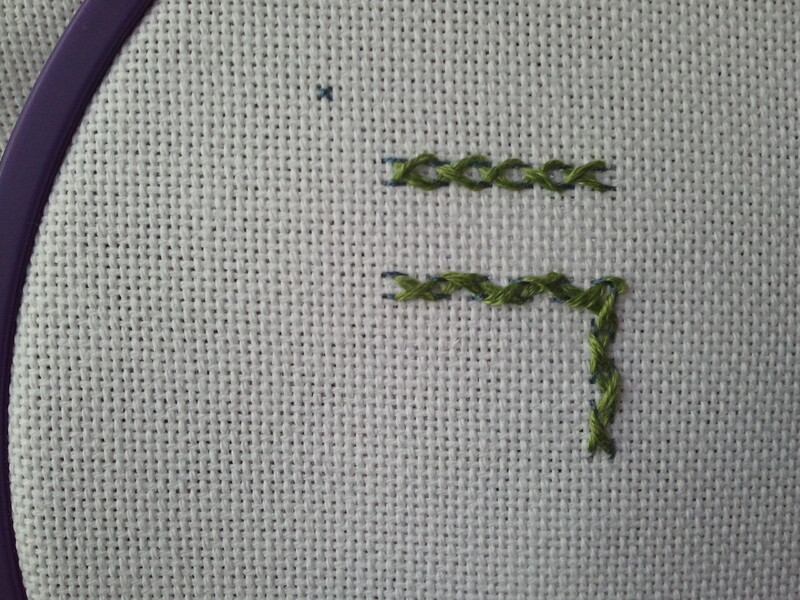 The instructions I used said to lace the thread through the stitches, so that’s what I started out doing. 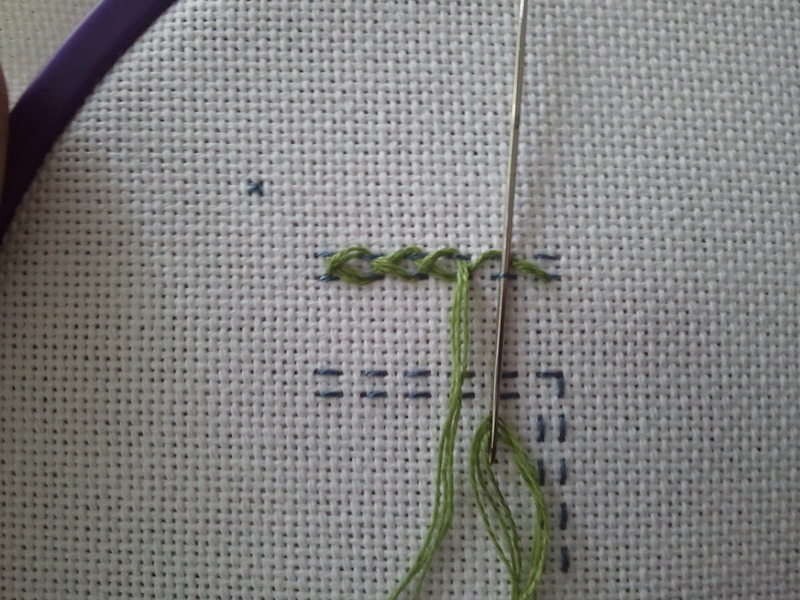 After looking at that picture, I pointed the needle outside-in, or always toward the middle of the stitches. 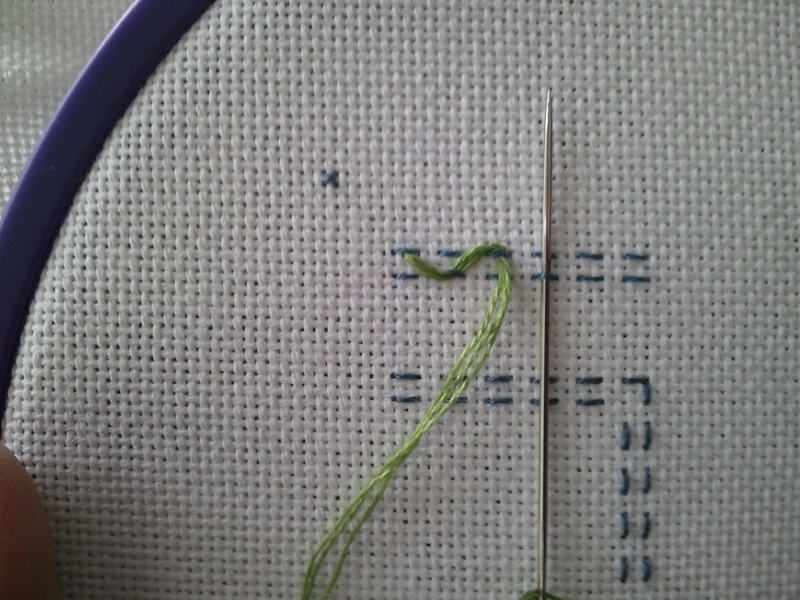 Then, for the second round of lacing the running stitch, I took the needle in the same direction, outside-in. 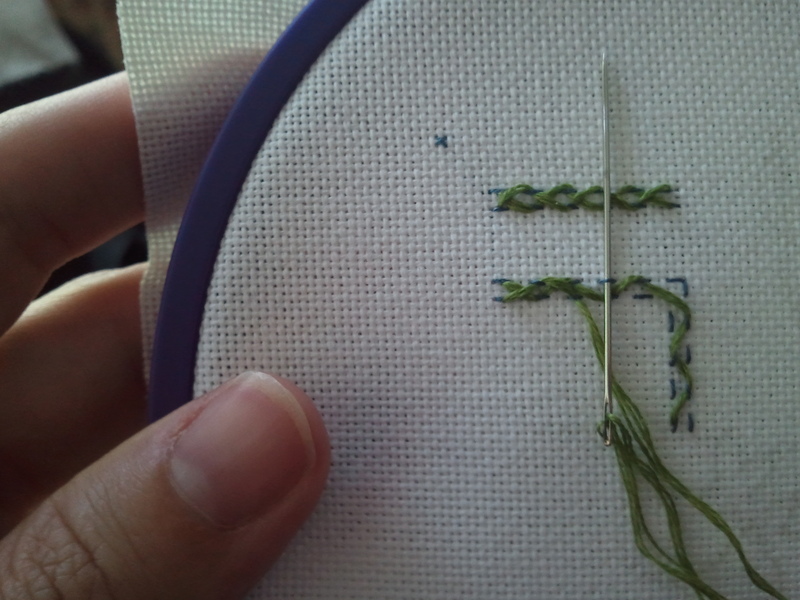 But for the second round of lacing, I went inside-out, or pointing the needle from the middle of the two lines of running stitch toward the outside. 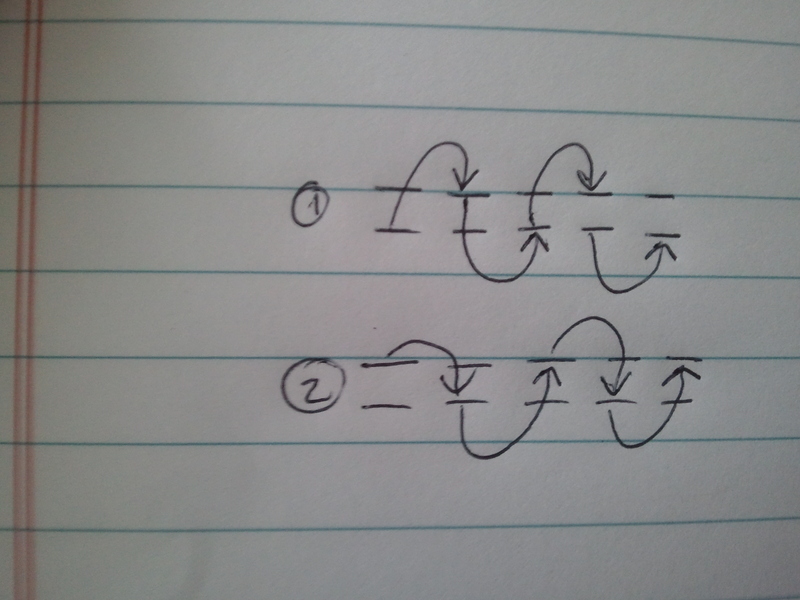 In case the outside-in, inside-out didn’t make sense, here is an extremely high-tech technical diagram of the direction of the needle on the first and second rounds of interlacing. 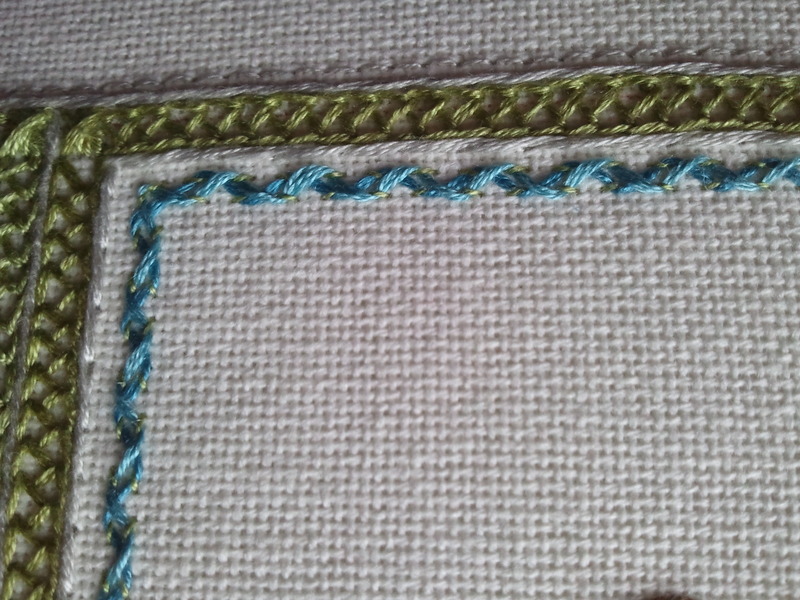 This entry was posted in Uncategorized and tagged embroidery, extreme stitch close up, interlaced running stitch by Rene. Bookmark the permalink. Thank you, Janet. I thought the “wrong” version looked fine, but not what I wanted for the needlebook. No, it was very clear!